It doesn’t matter if it's Summer, Winter, Autumn or Spring, Australia and all of its wonders are waiting for you. Australia is filled with majestic mountains, tranquil parks or those special little hideaway only you know about. The Mars Extremo is the camper that can get you there easily and effortlessly with its full off-road capabilities. 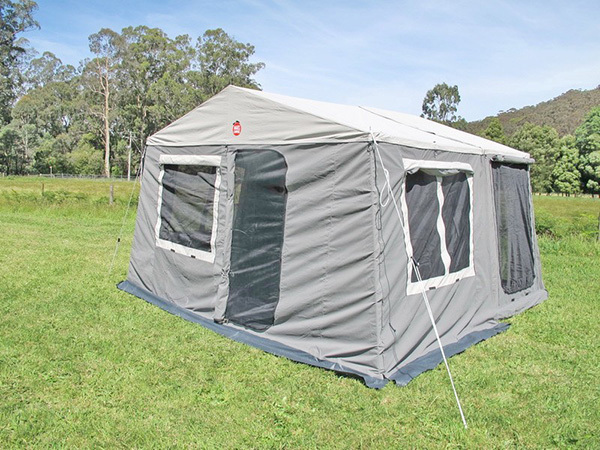 The tent has a 5 min set up and is made from water proof 14oz rip stop poly cotton canvas and double stitched midge proof mesh windows to keep even the smallest bugs out. Yes, it also comes with a full extra room including walls and floors. 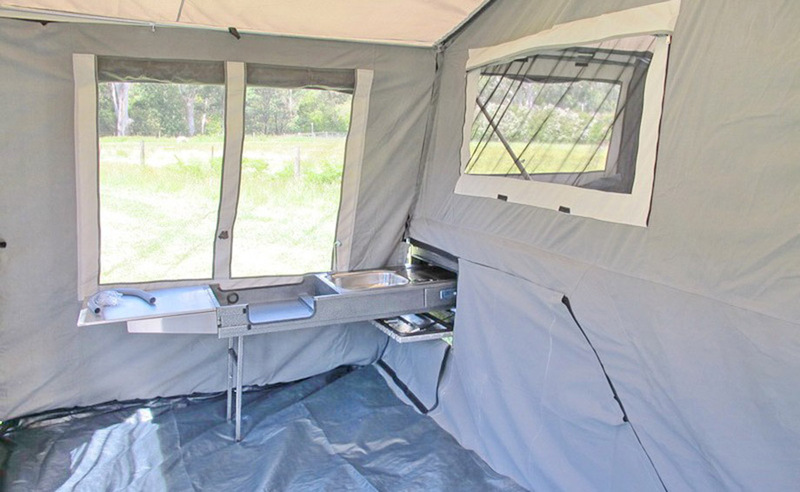 Relaxing when away camping in the bush, sun or sand for a weekend or longer sounds like a perfect way to recharge your batteries then the Extremo Camper Trailer does this like no other. With the ease of carrying everything you need in one handy trailer and with the knowledge that the Extremo camper will go the distance, no wonder this is the camper of choice of young families due to its affordability, one of the favorite for retirees as the camper is economical to tow and fuel efficient along with a dream for off road enthusiasts as it is light to tow when off roading which helps on tough tracks and is easy on the towing vehicle drive train. 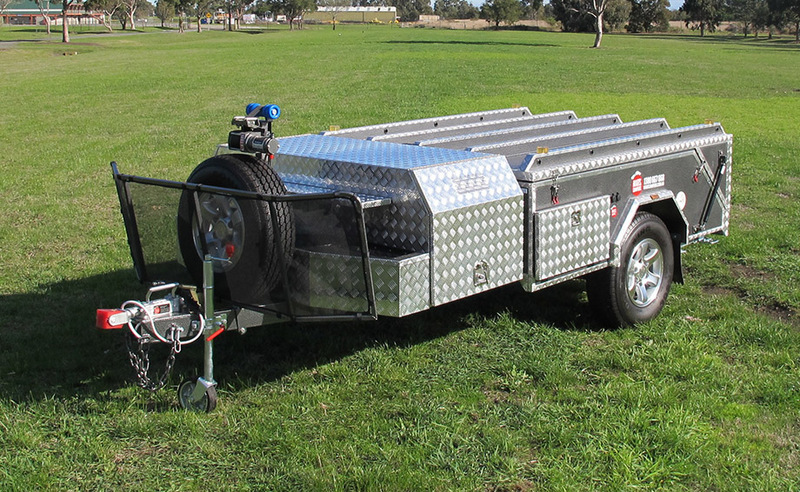 This trailer is built with an exceptionally strong chassis and robust independent suspension, the roughest tracks are no match for the Extremo. 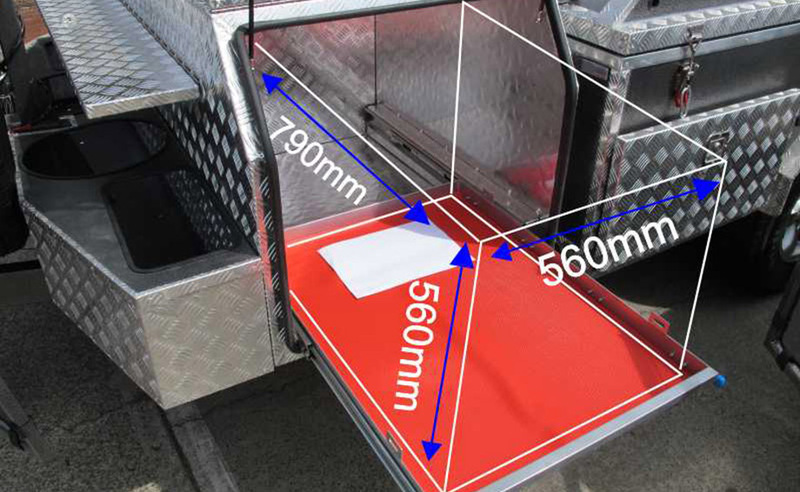 The Extremo seamlessly integrates simplicity, comfort and ruggedness in the hard floor camper trailers range. Its features 5mm thick gusset plates, galvanised chassis/body with textured hammertone finish, extremely robust and properly balanced independent suspension to take you on all the harshest routes that Australia has to offer.